Short Character Description: Thoughtful, or overthinker? Character Description: Dipper has mostly black fur, with a few white 'boots' on his right forepaw and back paws. He has traces of dark copper fur, mostly around his ears and underbelly, but that is hardly noticeable. Dipperkit's tail is only half the average size, which in cats lessens their ability to balance. This helps with Dip's balance in other areas, and increases awareness, since he has to overcompensate for his 'stubby' tail. Character Personality: Dipper has an eager-to-please personality, which can go over the top. He loves to sit and think, rather than play with his fellow kits, though he tends to overthink things, which can lead to excessive amounts of paranoia, nighttime phobias, and building plans to fortify his clan's base with a steel fortress, a box of catnip (an item of which he snatched from the medical area once), and anything else that a young doofus can think of! Due to this, Dipper tends to lag behind his fellows, spend hours at a time scheming the strangest ideas, and is easily pushed around, but his warrior skills lie easily in his brain. Little Dipperkit is always proudly announcing, both to his family, and the rest of his clan, that he will one day soon rise up to be leader of the whole clan! His secret: He always talks to StarClan at night, (one-sided) telling them anything and everything about his day, and asking to be super super smart, and then to use those super super smarticle particles to defeat any attacking forces. Character History: Dipperkit has no real history yet, as he is only a few moons old, and has hardly ever left his mother's side. However, now that he is starting to venture out into the rest of the territory, he has been noted for snatching little things such as catnip, dandelions, and other medic supplies, all without a trace. Oh my goodness this is cute. 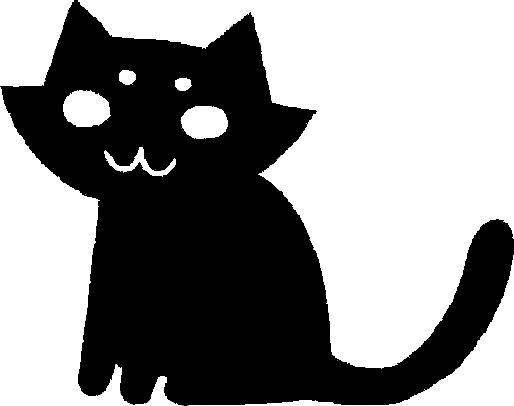 On another note, I suppose that I'll volunteer Kestrelkit to become Whisperleaf's apprentice for the time being, and if someone comes along with a character better suited for it, we can pull a Hollyleaf switch or something. Poor Kestrelkit, she's loosing her hopes and dreams so that Dipperkit won't pollute the clan with his terribleness at being a medicine cat. Pfft, if you want me to make a med cat apprentice for Lightning Clan, I shall spare Kestrelkit the struggle. Accepted. Dipperkit is very cute, although I may just be mean and make a kit who is older than Dipperkit and his siblings, who torments Dipstick when no one is around. Watch out for Nightflower, then! But if you do that, the kit will have to go to Brownstar to train,(unless you want to have the med cat apprentice) and then Fireshadow can have Dipperkit and Kestrelkit goes to Whisperleaf. Since Nightflower is still in the nursery we currently have an unfortunately small amount of eligible warriors. Sounds great. Since we have a shortage of members right now, I WILL be advertising as soon as possible. I hope we will soon have more characters in every clan. And this cat wouldn't be related to Dipperkit, just a homeless kit adopted into the clan and who is older than the other kits. Alright. Your advertisement is almost finished, by the way. Do you want a certain size? I'm making it a horizontal rectangle, though I can change/add later.